Please email info@romseyshow.co.uk to register your interest (new Exhibitors). Contracts for our Bar Concessions on the main showground have already been confirmed for the 2019 show and we look forward to The Naked Grape attending the Show this year. 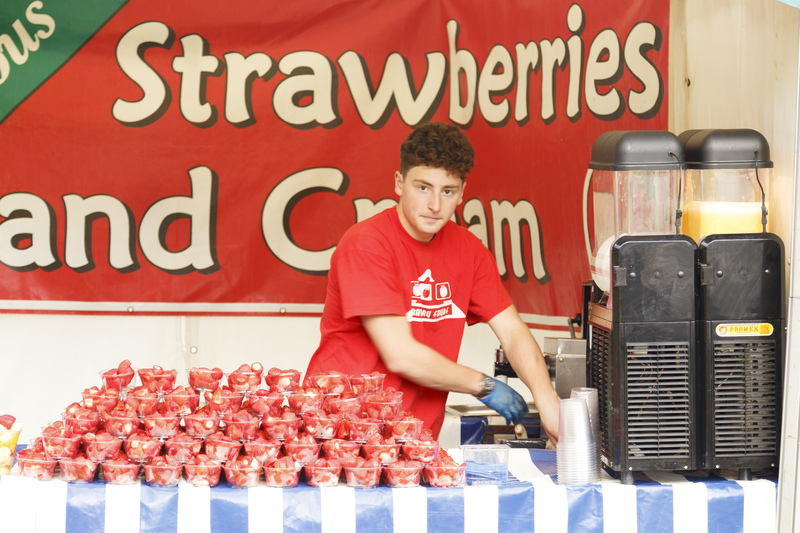 Our 2019 ice cream concession has been confirmed and we look forward to welcoming back Purbeck Ice Cream. The Show Office has emailed you an application pack. If you have not received this, please download a copy below. If you would like your previous location, please indicate this on the form and we will do our best to arrange this (not guaranteed). Email info@romseyshow.co.uk with your menu including prices and a photo of your catering unit. We will then send you an application form should there be availability for your produce. The Show Office will contact ALL applicants within 2 weeks of receiving the application to confirm it has been received. If you have not heard from the Show Office within 2 weeks, please contact us. All applications will be for consideration and reviewed by our Food Chairman. We will invoice you upon acceptance of your application. Confirmed Trade Exhibitors will receive their trade pack (including passes and location map) towards the end of August/beginning of September. Late Applications may be considered, please contact the Show Office.